Yesterday Google announced a new feature as part of their mobile search results capabilities. Mobile users can now find local events happening near them by simply searching for them on Google. This capability is a continuing effort to make mobile devices more beneficial to users as mobile usage by consumers continues to soar. 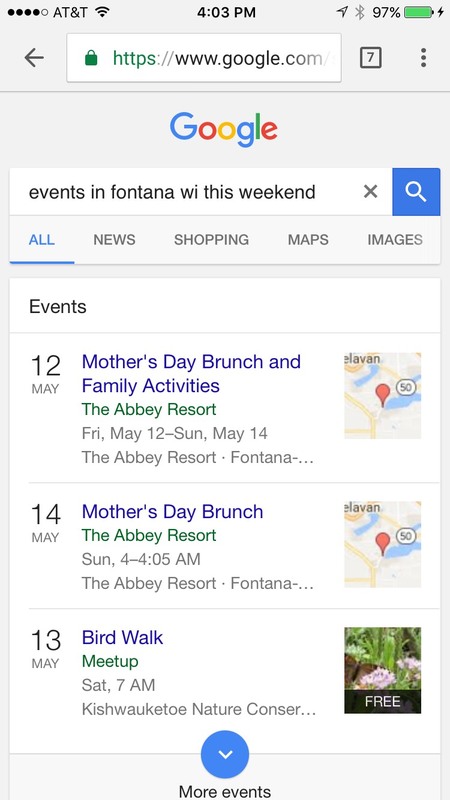 The new local events feature relies on Google identifying sources of local events data from websites that have events calendars enabled, and that are properly tagged with the relevant schemas. Milestone customers are already benefitting from this new feature if they have Milestone’s Event Calendar feature enabled on their website and populated with local events. Milestone customers who have purchased and deployed the Events Calendar don’t need to “do” anything to have their properties included in search results. In fact, in preliminary testing conducted at Milestone, our clients are often appearing on page one of local events searches being conducted on mobile phones, simply through the event data that is already posted on their websites. 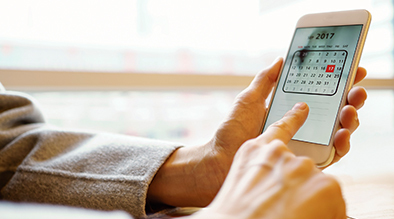 As consumers continue to expand their usage of mobile devices, having access to events and things to do in their area is critical to a successful experience. Location-based businesses like hospitality companies, banks, financial institutions and retailers can take advantage of these opportunities to not only solve real-world problems for their consumers, but also to create exceptional experiences for their customers. Screenshot of search results for Milestone client The Abbey Resort in Fontana, WI. Milestone customers who don’t have the Events Calendar feature on their website can add this capability easily by contacting Milestone at 1-408-492-9055 or by email at [email protected] Location-based businesses that are not Milestone customers are also welcome to inquire about moving their properties to Milestone to benefit from advanced technologies like Local Events Listings as well as the myriad of other technological advancements that have made Milestone a premier provider of digital presence solutions for location-based businesses.